ABC’s late-night news program featuring in-depth reporting on the major stories of the day. In 2014, Harris published the book, “10% Happier: How I Tamed the Voice in My Head, Reduced Stress without Losing My Edge and Found Self-Help That Actually Works.” It went to #1 on the New York Times Bestsellers List, and then became an app, designed to teach meditation to skeptics, and this podcast, where Harris talks with smart people about whether there’s anything beyond 10 percent. 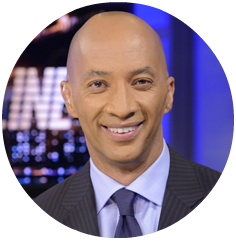 Pitts is a multiple Emmy award winning journalist and news veteran with over 20 years of experience known for his thoughtful storytelling, on-the-ground reporting and in-depth interviews. 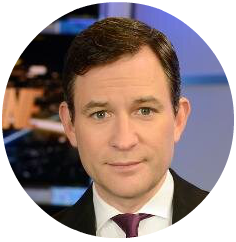 After less than 24 hours at ABC News, Pitts immediately joined the network’s live special coverage of the Boston marathon bombing investigation. Since then, Pitts has gone on to report live from Baltimore, Dallas and Baton Rouge, La., during each cities’ recent riots and protests. 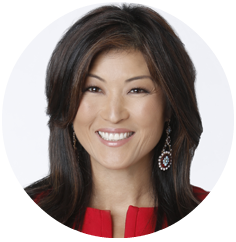 He also co-anchored a special edition of “Nightline” with Juju Chang from Los Angeles looking back on the city 25 years after the riots that broke out following the Rodney King verdict.